A HEALTHY PET STARTS HERE. Adult Dog and Cat Wellness Plans - Average Savings is $155 Each Year! Dogs and cats age at a much faster rate than people do. For every year that you age, your dog or cat can age from 6-8 years. Your pet's medical and nutritional needs change as their bodies ages. 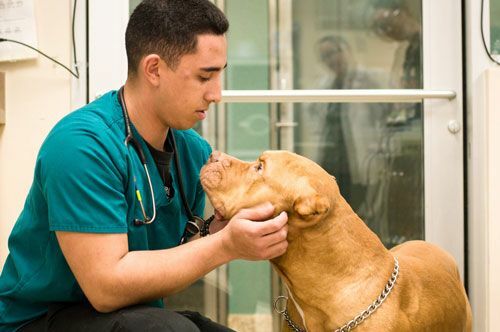 A Pet Wellness Plan at Shores Animal Hospital helps manage their evolving health care needs by monitoring vital organ function and detecting problems early, before they become life-threatening. Our Adult Wellness Plans include examinations for only $10 co-pay, vaccines, parasite screenings and heartworm tests (dogs), early disease detection lab tests, nail trims and other services essential to protect your pet against illness and disease. Upgraded Gold & Platinum plans offer additional services such as free dental cleanings, radiographs and extensive early disease detection lab tests. Our goal is to keep your pet healthy and happy from age 7 months through the prime years of their life. Puppy and Kitten Wellness Plans - Average Savings is $65! Puppies and kittens inherit immunity from their mother that protects them till about 6 weeks of age. After 6 weeks though, your pet depends on you to continue that protection. Our Puppy and Kitten Wellness Plans at Shores Animal Hospital are designed to continue that protection by providing services necessary to carry your young pet through the most important year of your life. Preventive routine care that begins at a young age is the key to longer, healthier life for your young pet. Our Puppy and Kitten Wellness Plans include examinations, vaccines, parasite screenings and heartworm test (puppies) nail trims, lab tests as well upgraded Gold & Platinum plans include spay/neuter surgery. For maximum protection, we recommend you enroll your pet between age 8 weeks to 5 months. Save money and provide yourself with peace of mind. Make quality healthcare affordable for your pet. Call 372-VETS (8387) or stop by Shores Animal Hospital in Gainesville to learn more about Pet Wellness Plans and which option is right for your pet.